Background: Dental and medical students are the healthcare takers of the general population. They play an important role in oral health care and its promotion in the society. Hence, their self-awareness regarding periodontal health and oral hygiene practices is mandatory. Aim: This study aims to evaluate awareness regarding periodontal health and oral hygiene practices among dental and medical undergraduate students. Materials and Methods: A total of 200 participants, out of which 100 medical and 100 dental undergraduate students were selected for this study. Structured questionnaires regarding teeth cleaning habit, use of tooth brushing, tongue cleaning, perception of halitosis, and treatment taken for halitosis were prepared and distributed to collect information regarding awareness of periodontal health and oral hygiene. The data were subjected to statistical analyses. Statistical Analysis: Chi-square test was applied for comparison among dental and medical undergraduate students. P value was considered statistically significant at P < 0.005 level. Results: Strongly significant differences were observed among the dental and medical students in brushing teeth twice daily, routine dental visit for oral hygiene maintenance, self-perception for halitosis, and treatment taken for halitosis (P < 0.005). Conclusion: Both the medical as well as dental professional students must be encouraged to be a good role model in promoting oral health education for their families, friends, patients, and ultimately for the society. Aim: The aim of this study is to determine the efficacy and reliability of estimation of blood glucose level of patients with diabetes suffering from periodontal disease using gingival crevicular blood through periodontal pockets. Materials and Methods: A total of 70 patients with a known history of diabetes mellitus suffering from chronic periodontal diseases having visible signs of gingival inflammation were selected for the study based on other inclusion criteria. 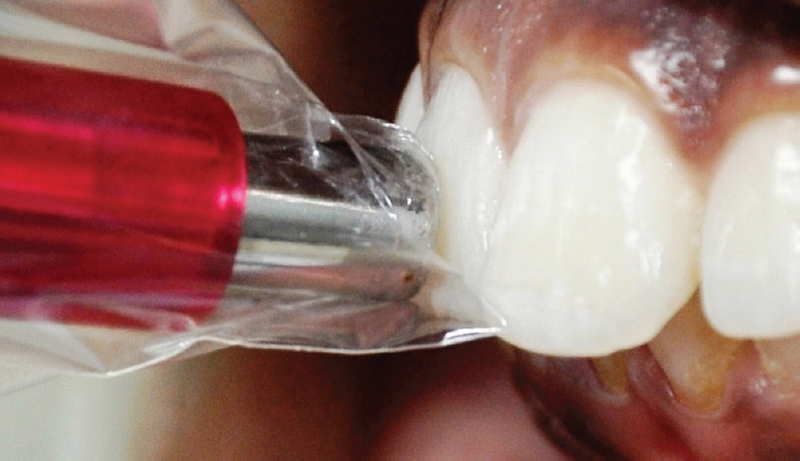 The excess gingival crevicular blood produced during routine periodontal examinations were carefully collected onto the glucometer test strips, and blood glucose levels were estimated with the help of glucose self-monitoring device (Glucometer). The finger-prick blood samples were also collected and glucose levels were also estimated using Glucometer. Patient's venous blood samples were collected at the same time, and blood glucose estimations were done using conventional laboratory measurements. Results: The results of this study revealed a strong correlation between (a) the gingival crevicular blood glucose (GCBG) and finger-prick blood glucose (Pearson's correlation r = 0.982; P < 0.001); and also (b) between GCBG and corrected venous blood glucose (Pearson's correlation r = 0.891; P < 0.001). 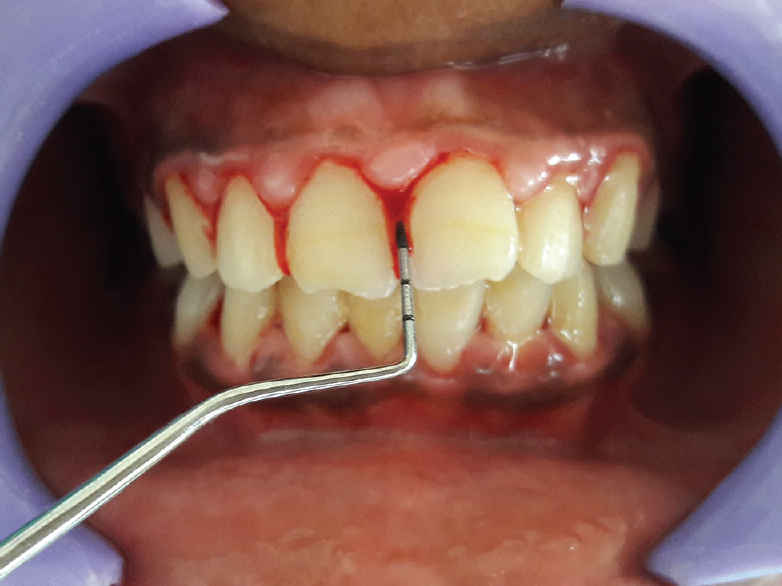 Conclusion: Oozing blood from the gingival crevice during the routine periodontal examination can be used as a quick, noninvasive, chair-side diagnostic mode to estimate, and/or monitor blood glucose levels in periodontal patient suffering from diabetes mellitus with the help of Glucometer. Aim: The aim of the study was to assess the anterior and overall tooth size discrepancies in different malocclusions and evaluate its effect on gender in a sample of South Telangana (Khammam) population and to compare it with Bolton standards. 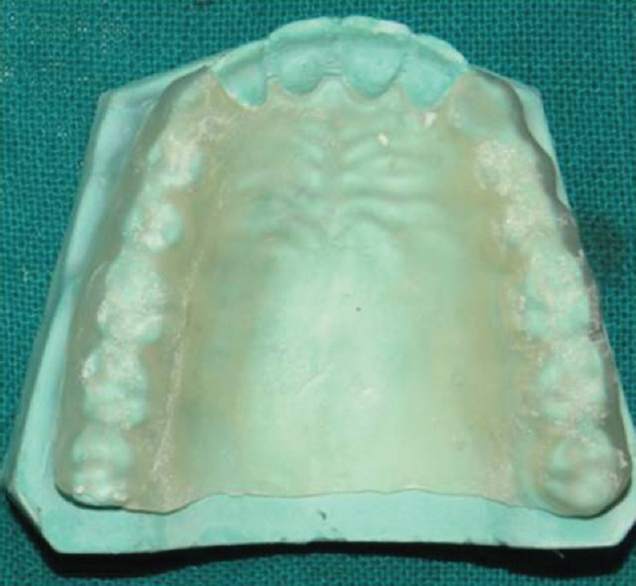 Materials and Methods: The study sample consisted of 311 pretreatment study casts, which were selected from records of orthodontic patients, who were residents of Khammam, South Telangana. The sample was divided into three groups based on Angle Class I, II, and III malocclusions and further subdivided into male and female groups. 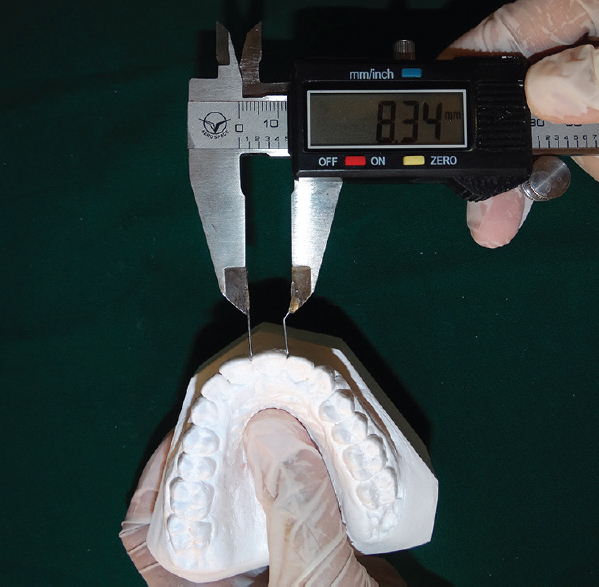 The mesiodistal diameters of the teeth were measured using digital calipers, and the Bolton's analysis was carried out. Statistical Analysis Used: Intraclass correlation coefficient was assessed using Dahlberg's formula. ANOVA and post hoc least significant difference test were used. Results: The mean anterior and overall ratios were 79.17 ± 2.91 and 92.3 ± 1.88, respectively. A total of 64% and 45% of the study population had tooth size discrepancies in the anterior and overall ratios when assessed for >±1 standard deviation (SD). When the sample was assessed for discrepancies >±2 SD, it was observed that a total of 33.8% and 5.5% patients had anterior and overall tooth size discrepancies. Conclusions: With significant differences being observed between Bolton's and the present study values, the need for population standards gains importance for better results at the end of orthodontic treatment. Background: Fragment reattachment is a conservative and a valid alternative compared to direct composite. Aim: The aim of this study is to assess and compare effect of storage medium on the fracture resistance of the reattached tooth fragments stored in dry conditions for 1, 6, and 24 h, in milk for 1, 6, and 24 h, and in saline for 1, 6, and 24 h. Materials and Methods: A total of 72 freshly extracted human permanent maxillary central incisors were fractured intentionally using a low-speed diamond disk along, and saline was used as a coolant. The fractured fragments were stored in dry conditions, milk, and saline. The fragments were then reattached to respective apical parts and subjected to thermocycling, followed by fracture resistance test using universal testing machine at the speed of 1 mm/min and were recorded in newtons (N). Results: It was observed that fracture resistance of 43.846 ± 11.363 N was required for fragment stored in dry storage media at 24 h, for milk, fracture resistance of 97.363 ± 47.739 N was observed at 24 h, and for fragments stored in normal saline, it was 162.856 ± 93.932 N at 24 h. Conclusion: In the present study, the highest fracture resistance was observed for fragments stored in saline for 24 h, followed by milk for 24 h and then dry storage. The fragments stored in milk exhibited higher fracture resistance than the fragments stored in a dry environment. Therefore, milk can be considered as an interim storage media as it maintains hydration of fragment. Objective: The objective of this study was to determine the association between periapical health status with the quality of the root filling and was the coronal restoration and identify the predictors of periapical lesion. Subjects and Methods: It was conducted among 197 adult patients who visited Kuwait University. Periapical status was measured by periapical index. The presence or absence of periapical lesions was evaluated using panoramic radiographs. Statistical Analysis: Data were analyzed using the Statistical Package for Social Sciences. Chi-square tests were performed to assess associations between categorical variables. Results: Of the 4,841 teeth examined, 2.7% were root-filled (n = 130). Thirty-four percent of the root-filled teeth (n = 44), and 3% of the nonroot-filled teeth (n = 141 of 4711) exhibited periapical radiolucency. Of the root filled teeth, 49% were judged to be inadequate (n = 64) and 91% of the inadequate ones had short root filling (n = 58). The presence of periapical lesion was significantly predicted by inadequate coronal restoration, dental caries, periodontal bone loss, and the presence of post crown. Conclusion: This study demonstrated a large number of untreated teeth with periapical pathology. The quality of root fillings in this population appeared to be poor and was significantly associated with a high prevalence of apical periodontitis. Objectives: The aim of this study was to evaluate fracture resistance of incisal edge fractures (Class IV) restored with a Glass Fiber-reinforced Composite (FRC). Materials and Methods: Twenty-four extracted sound maxillary central incisors were randomly divided into two groups. Group I (control) contained untreated teeth. Samples in experimental groups II were prepared by cutting the incisal (one-third) part of the crown horizontally and was subjected to enamel preparations, then restored with a Glass FRC. Fracture resistance was evaluated as Newton's for samples tested in a Hounsfield universal testing machine. Failure modes were examined microscopically. Results: Mean peak failure load (Newton's) observed in Glass Fiber-reinforced Nanocomposite was 863.50 ± 76.12. The experimental group showed similar types of failure modes with the majority occurring as cohesive and mixed type. 58% of the teeth in Glass FRC group fractured below the cementoenamel junction. Conclusion: Using Fiber reinforced composite substructure under conventional composites in Class IV restorations, the fracture resistance of the restored incisal edge could be increased. Background: To evaluate the thickness of palatal masticatory mucosa in posterior teeth by transgingival probing and determine its relation with age and gender. Materials and Methods: Forty systemically healthy volunteers with age range 16–38 years were selected based on the inclusion and exclusion criteria. Eighteen measurement points were made on the cast that was transferred onto the palate using clear acrylic stent to measure thickness. Three different lines a, b, and c: 3, 8, and 12 mm, respectively, from the gingival margin were made starting at the mid-palatal aspect of the canine and ending over the palatal root of the second molar. Six points were defined on each of the lines: Ca (mid-palatal aspect of the canine), P1 (mid-palatal aspect of the first premolar), P2 (mid-palatal aspect of the second premolar), M1 (palatal root of the first molar), Mi (interproximal aspect between the first and second molar), and M2 (palatal root of the second molar). Results: Soft-tissue thickness progressively increased in sites further from the gingival margin and was thickest adjacent to mid-palatal aspect of the second premolar 12 mm away from gingival margin. Younger age group patients had thinner posterior palatal mucosa as compared to older age group patients. Males had thicker posterior palatal mucosa as compared to females, but results were statistically insignificant. Conclusion: The thickness of posterior palatal mucosa showed a varied degree of variation at different marked areas in different teeth, and the difference in the mean thickness was also associated with age and gender. Aims and Objectives: Tooth color is a major factor with regard to dental esthetics. Restorative dentistry has evolved from its previous dentist driven to patient driven service and patient opinion plays an important role in selecting the treatment plan. Whitening teeth and smile designing for esthetic purpose is currently fashionable. Selection of appropriate tooth shade for edentulous patients is an important part of teeth replacement. Most patients prefer having lighter shades. However ultimate objective of esthetic dentistry is to create a beautiful smile, with teeth of pleasing inherent proportions to one another and color in harmony with gingiva, lips and face of the patient. Proper shade selection has a positive impact on the patient's acceptance of the treatment. 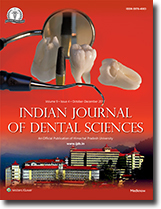 The present study was designed to measure the tooth colors in a particular age group of North Indian population. There is enough data to support the use of objective methods of measuring shade and dentists are shifting to these newer technologies but subjective methods of shade selection are still popular as the digital devices are expensive. Materials and Methods: In the present study, shade of cervical, middle and incisal third of the facial surface of natural maxillary central incisor was measured with digital colorimeter, VITA Easyshade® Advance 4.0. It is an optical reading device that can assess the wavelengths reflected back to its sensors. Lighting in operatory does not affect the shade measurement. It is extremely accurate. The limitation of study was its small sample size. Conclusion: It was concluded that the most prevalent shade in cervical third was 1M2, middle third was 1M1 and incisal third was 2M1. Background: Oral leukoplakia is a common precancerous lesion that may transform into squamous cell carcinoma. Epidemiology reports available from studies conducted in different parts of India reveals the prevalence rate of leukoplakia from 0.2% to 8%. The malignant transformation rates of oral lesions are reported to be 1%–7% for homogenous thick leukoplakia, 4%–15% for granular or verruciform leukoplakia, and 18%–47% for erythroleukoplakia. Context: Although there are many treatment options ranging from the simple discontinuation of the tobacco habits in mild cases to more aggressive approaches like surgical excision to exceedingly sophisticated techniques such as laser surgery, and photodynamic therapy. Cryosurgery has also been implemented as an effective treatment for precancerous lesions of the oral cavity and has shown to have various advantages over the other procedures such as minimal/no pain, less swelling, no bleeding, simplicity, versatility, and low cost. Aims: To check whether cryosurgery can provide as good results as those obtained by today's latest and super sophisticated surgical modalities. Settings and Design: Experimental observational study. Materials and Methods: In this study, 25 lesions of different types of leukoplakia, in 19 patients were treated using closed type cryosurgical system. Statistical Analysis Used: Chi-square test and independent t-test. Results: Complete regression was achieved in 22 (88%) lesions, 2 (8%) cases resulted in incomplete regression thus were retreated and complete regression. 1 (4%) subject did not report for follow up after the 7th postoperative day. Conclusions: In this study, results were found to be very promising but more research in this field is required as the sample size in this study was small. It can be extremely challenging to diagnose systemic disorders through their oral manifestations. Sometimes, these oral findings can be the only manifestation for years, logically improving the prognosis if identified at an early stage. 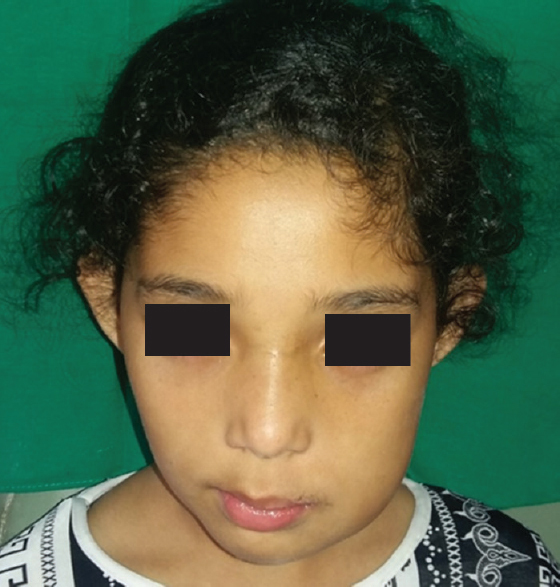 This case report is about a female patient who had been under medical treatment for a wide range of oral and systemic symptoms including recurrent parotid abscess, which were being treated individually without ascertaining the probable underlying cause. Based on a positive history and clinical evaluation for ocular and oral dryness, sialography, and minor salivary gland biopsy was performed which revealed sialectasis. A diagnosis of Sjögren's syndrome was arrived at and the patient underwent further workup to determine any potential associated disorders. Skin biopsy and serology indicated systemic sclerosis with lung involvement. The patient received intravenous pulse methylprednisolone therapy and symptomatic treatment for oroocular dryness. Apart from systemic antibiotics for management of recurrent parotid abscess, a novel approach consisting of retrograde irrigation of salivary glands with intravenous metronidazole and amoxicillin was performed at regular intervals. 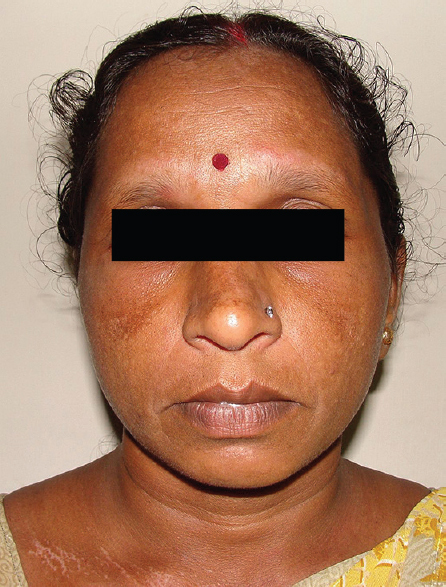 This case report also revisits and reintroduces sialography for glandular pathologies. Although over the years, many new imaging techniques have superseded this procedure, it still remains the one procedure that can be easily performed within the confines of the most basic dental setup. Ameloblastoma is the common form of aggressive benign tumor of the jaws, but it is rare in childhood. The treatment of ameloblastoma is controversial. Surgical treatment of ameloblastoma in children follows the principles of the clinical and pathological aspects of the tumor and poses a special problem due to the incomplete growth of the jaws. With a unicystic ameloblastoma, the procedure of choice is a conservative approach. This paper describes the conservative treatment of a plexiform unicystic ameloblastoma in a child involving curettage of the tumor and the extraction of four teeth under general anesthesia, with a good prognosis of the case. Cosmetic surgery is not a new thing. The boom of cosmetic surgery is at its pace in India; people have been getting habituated to esthetics for so many years. Esthetic adjustment of various body parts such as rhinoplasty and lip modifications are more common nowadays. A dimple is a small depression on the surface of the body which can be easily noticeable; people appreciate the presence of dimple on the face and believe that it is a sign of good fortune and prosperity. With the advancements in the cosmetic surgery, there has been a upsurge in having artificial dimple on face. With this increased demand in having facial dimples in people, surgeons now are in an idea of creating an artificial dimple with dimple surgery or “dimpleplasty.” The procedure of dimpleplasty is as simple as making a cut in the skin, suturing the underside of the skin to a deeper layer to create a small depression. The suture creates a permanent scar which maintains the dimple. It is a thumb rule that any surgery has minor risks which are avoidable; the current review enumerates the various procedures for dimpleplasty and their outcomes. This article emphasizes on routine as well as recent procedures used for dimpleplasty and its relative complications.